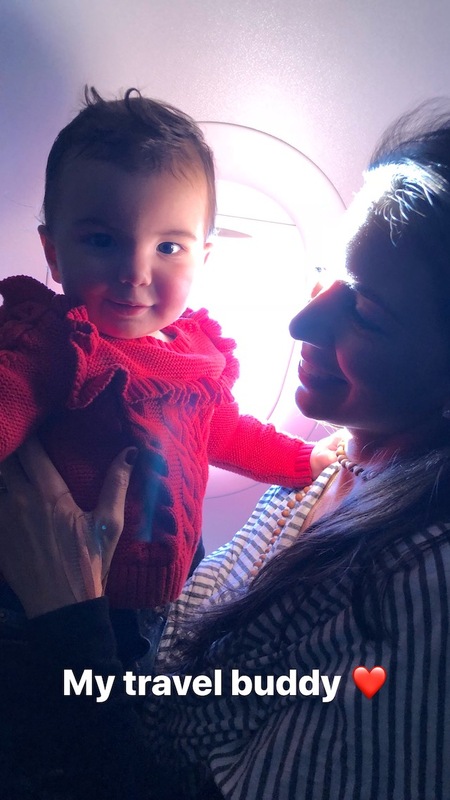 Organic Well Being: On an airplane, and this happened! I had Harley on my lap, and she spotted another passenger between the spaces of the airline seating. The person made a face. Harley made a face back. And they had a cute, playful interaction. But when we landed, the lady who was sitting in front of me said, "Wow! Are you Vani?" She fired back, "I can't believe it! I just got Truvani!" I never thought I would start my own product line, but our food system needs to be changed. I've always believed in real food without added chemicals, products without toxins, and most importantly, labels without lies. And now, it's becoming real. Our first product is a Daily Turmeric Supplement. And I believe it's the best turmeric on the market. I show you how it helps right here. I even have a Launch Special which is available today and expires tomorrow where you can save up to 35% percent. But you might be wondering "how is it different" or better than other turmeric supplements on the market? First, we have a rigid testing protocol for our products to ensure safety. As we get our ingredients delivered to the manufacturers, we test them on site for food safety. Then, after we turn it into our supplement, we test it again in-house and then send it to third party testing sites to verify everything. Second, It's USDA organic: This is important. The USDA has a lot of rules in place to ensure food safety and quality. And even though it should be the standard, a quick glance of best-selling turmeric supplements and I notice companies take a shortcut and fail to get this important label. Third, it's in tablet form, without a sealant or coating. This may seem trivial, but for this specific product, I believed it was unnecessary to include this sealant or coating. Plus, it creates the added benefit that you can dissolve this Turmeric into hot water and make a tea... or Golden Milk. It's delicious. Your support means the world to me, and it's one of the reasons why we are offering a launch week special. I wanted to ensure I give the people who help make this a reality the best possible price. You can save up to 35% off right here. This is available today, but it goes away tomorrow. This is just the beginning. Our first product is a small step towards changing the food system, and your support will empower us to do it. Get a bottle here and save up to 35% percent. It expires tomorrow.